Rf face lift, young woman. 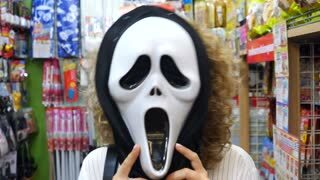 Girl wearing facial collagen mask. Confident female doctor putting on gloves. Woman surgeon or nurse wearing surgical cap and face mask putting on protective gloves. Portrait of confident doctor with syringe. Woman doctor or nurse wearing surgical cap and face mask holding an injection, front view. 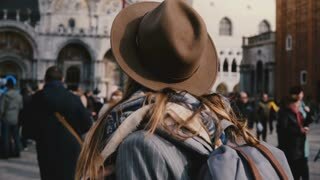 Woman with long hair and hat wearing a white carnival face mask in Venice street, Italy looking at camera, turning back.